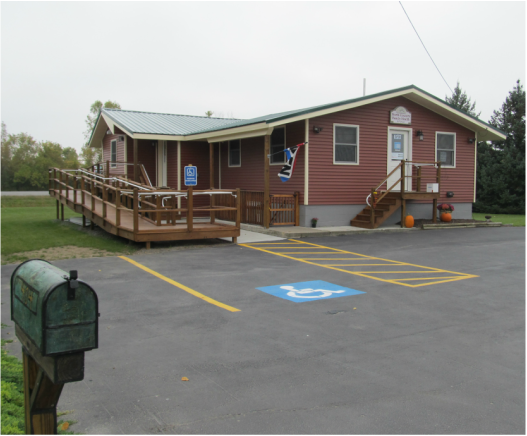 North Country Family Health NP, PLLC came together in July 2013 and officially opened it's doors in August 2014, after receiving Certificate of Occupancy. Staff training began in May and move-in occurred in June and July of 2014. Much of the first year of operations was dedicated to the acquisition and renovation of our facility located on Cedar Street in Ogdensburg, New York, which is located on the Canadian border of Southern Ontario. The clinic is situated right off of State Route 37 (visible from the highway) and is within minutes of the Ogdensburg-Prescott International Bridge. In addition to the services we offer on site, we are able to utilize the services of the local hospital just a few blocks away for ancillary services. North Country Family Health NP, PLLC is an independent nurse practitioner clinic and is owned and operated by Anne Lalonde, a board certified Family Nurse Practitioner. The focus of the clinic is prevention, wellness, and primary care. Providing high-quality primary, acute and specialty healthcare services similar to that of a physician, Nurse Practitioners have graduate, advanced education, with master's degrees or doctorates. All Nurse Practitioners have advanced clinical training beyond their initial professional registered nurse preparation. They bring a unique perspective to health services in that they place emphasis on both care and cure. Nurse Practitioners diagnose and manage acute episodic and chronic illness. Nurse Practitioners also focus on health promotion, prevention, and health education and counseling, guiding patients to make smarter health and lifestyle choices. Serving Upstate New York, we see clients of all ages. We offer comprehensive care including preventative medicine. Check out the Veterans tab at the top of the page to see how.